QUESTION 1: In 2019 what is the cheapest way, using an airline I can get to the Black Sea or Sunny Beach area of Bulgaria from Ireland? ANSWER: There is the fastest way which is either from Belfast to Bourgas with Jet2 or Balkan Holidays or Dublin to Bourgas with Aerlingus, Tui, Thompson or Falcon. It definitely isn’t the cheapest. The longer but lower cost way (if booked early) is to fly either Dublin to Sofia with Ryanair and travel down to Bourgas area or alternatively, Ireland to London Luton and catch a Wizzair flight from Luton direct to Bourgas. There may be options to fly from Manchester or Birmingham – basically wherever Balkan have a base from in U.K to Bourgas if you can get a reasonable connecting flight from Ireland. QUESTION 2: Its hard to pay all the flight money up front, what do you suggest? ANSWER : Booking through Aerlingus you must pay all at time of booking but if you check out Balkan Holidays and perhaps JET2 – from U.K and Belfast they allow you to pay deposit and although you must have all paid a few months before your departure date, it is definitely an easy pay system. Then add to the fact flights are normally cheaper the earlier you book, it’s a no brainer. Some travel agents may have a system were they can make stage payments for flights, so do ask your travel agent. QUESTION 3: Why is Ryanair or Easyjet etc not in Bourgas airport? ANSWER: Ryanair actually are in Bourgas airport as of 2018 but are only flying into other European countries including Poland and Germany. It is expected they will expand to U.K and Ireland. QUESTION 4: Why can we not just get cheaper flights? Other flights from U.K and Ireland to places of a similar distance to Bourgas are a lot less expensive? ANSWER: It is our hope that we can get enough customers, registering with us and clicking through us to book with these airlines, that perhaps, in the future we could get some leverage. After all if we could go to an airline with enough people who would fill their summer schedule, they are sure to want the business. Well if not them some airline will! Please register, name, contact email and number. 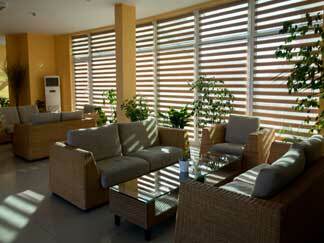 If you are a regular visitor to Bulgaria add in your dates. QUESTION 5: Ryanair have got really good prices to Sofia but what is the journey to Bourgas like from Sofia? ANSWER: Yes, Ryanair from Dublin, Easyjet and Wizzair and a few others from U.K have good prices to Sofia but the long journey; up to 4 hours, can put families off travelling this way. However, we have had many people, hire a car at Sofia airport, travel to Bourgas (it is pretty much a straight road) and then have the benefit of having the hire car when they need it on their holiday. Some have parked it up at their hotel and there may be options of just hiring it in Sofia airport and leaving it at Bourgas Airport but it is a good option. One couple who went in October this year, got the car for 5 days for 100 euro. 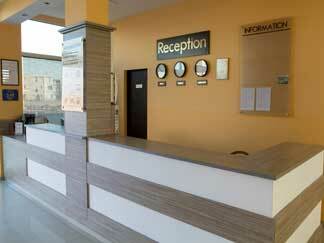 The other option is having a company waiting for you at Sofia airport and getting straight on the road to Bourgas. Half way on the journey is a Happy Restaurant, McDonalds etc and it breaks the journey up well. 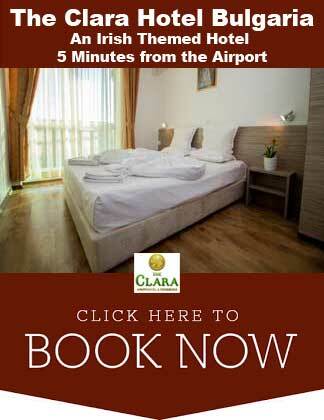 The Clara Hotel in Sarafovo offer subsidised transport from Sofia. QUESTION 6: Is that the only option, for cheap travel, a flight to Sofia and travelling to Bourgas and same on return journey? ANSWER: No, you could travel out with a low cost to Sofia and look for a one way return from Bourgas. Going on holidays everyone is excited going but lets face it, when its time to go home, we like to get home! Look for one way options. QUESTION 7: I haven’t been to Bulgaria, what is the things I need to be careful about? Is there any advice on what to avoid? Is the mafia running in Bulgaria? ANSWER: The staff and friends of flightsbulgaria have been back and forward to Bulgaria for ten years and in all that time we have never had any trouble. If anything, and if we are honest the only trouble came from our own people being too loud in Sunny Beach! The things you should be careful of are the Taxis and the money changing. ALWAYS, ALWAYS ask for a price before you go anywhere in a taxi and NEVER, NEVER change money in the street! Go inside! You need a passport. On that point don’t change money at our own airports, certainly euro or sterling, to Leva (Bulgarian currency) is better changed at Bulgarian airports than at home. As for Mafia, if it exists we haven’t seen it or been affected by it. Mafia is just another word for organised crime and sadly it happens everywhere but unless you are in to a criminal perspective and seek out such characters the ordinary person just wont be affected. Bulgarians are suspicious of counterfeit money and will not accept ripped or torn bank notes. QUESTION 8: With a lot of trouble in tourist areas around the world from Turkey to Paris, how safe is Bulgaria? ANSWER: Every European country has a certain element of risk; every place British tourists gather has a potential risk associated. Bulgaria from this perspective has not entered the radar, except for a bus bomb attack on Jewish tourists some years ago. The Bulgarian Orthodox Church is the main religion and has an extremely rich history of icons which depict Biblical scenes, local saints, the Virgin Mary or Jesus. QUESTION 9: What number should I call in an emergency when in Bulgaria?